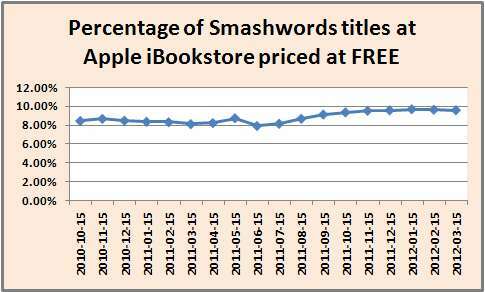 Smashwords: Does Agency Pricing Lead to Higher Book Prices? You are spot on as usual, Mark. Let's hope agency pricing remains. Thanks for sharing this with us, Mark. I'm pleased you are fighting in our corner. Thank you so much for explaining and defending the agency pricing model. Without it I would be basing my business on earning a percentage of an unknown figure per unit of product. I don't know many businesses that can operate that way. If retailers would agree to pay a fixed percentage based on the suggested retail regardless of whether they discount a price for their customers or not, then the agency model might not be necessary. But as it is, we cannot enter into distribution agreements that promise us nothing and take all control. Without clear agreements on what a publisher gets paid on a unit, the retailers basically have license to steal content, sell it, and pass along whatever they feel like paying to the creator. That's a powerful argument you presented to the DoJ, Mark. It's nice to have someone lobbying on behalf of indie authors and publishers to level the playing field for everyone. I doubt there is another individual in the industry today with such relevant insight and perspective into the burgeoning business of ebooks to have done the job better. Excellent post. Thanks for the info. I will share it with my tweeps, peeps and pals. This is fascinating and helpful. Thanks a ton! I'm reading your e-book on secrets to indie success and am enjoying it; keep up the good work. Excellent article. Here is my opinion as a consumer of books and ebooks. Maybe I am naive with my view of the publishing industry. As a consumer, it seems to me that the publishers control the price much more than the authors do although your article seems to point to authors having equal say in what the price should be which may or may not be an artifact of indie publishers. When I think of ebooks, I think of things like less overhead and reduced logistics of sourcing printing materials, storing the starting and ending products, and moving them around the control to warehouses and retailers. Hence I expect the price of an ebook to be valued less than a paper-based book. Due to the reduction of materials, storage, and transportation/shipping, I would expect the publisher to reduce the price of the ebook yet the author could still earn the same amount per unit sold since ideally this is a reduction in cost that the publisher was footing. When I see things like ebook prices being raised above paperback book prices due to the movie or sitcom of the month/season being released I lose faith in the agency model. The supply and demand curve does not work with a virtual product (i.e. ebooks) when the product can be replicated and produced instantly, on demand. Great information Mark and thanks for taking a proactive position on this very important issue. Fantastic analysis, Mark. Thank you for sharing all of this information and for your thoughts. Wonderful. Very curious to know why my first ebook is getting a 50% markdown from B&N, which Amazon is matching. If publishers are setting the price, why mark down my book from the price I set? Are other books being marked down as well? is this going against what you are describing as "agency pricing"? @Tracy Back when we were doing wholesale contracts with retailers, we actually negotiated the contracts so the 50% was paid on the author's suggested list. So most if not all retailers are willing to pay that fixed percentage of list under wholesale deals, though it's only 50% and not 70% (or, 42.5 and 60% after our commission). @Mark Coker - Thanks for the response. I recall the lower percentages when the retailers could discount our prices. Just so people understand, those original wholesale agreements were tolerable when all the retailers allowed similar terms. But then Amazon offered the appealing 70 percent royalty above a certain price point and of course everyone wants to produce for that. But then Amazon would price match the discounts of other retailers and then blow the suppliers out of the 70 percent Amazon royalty. This horror is what prompted the need for an agency model. I fully support the agency model. And as your data shows, it allows market forces to nudge prices lower when producers know that the price point they set is the one that has to compete as is. With agency pricing I also like knowing that readers can shop at whichever retailer they like best and know that they are not paying a higher price than elsewhere. I'm curious to know if the DOJ has any interest whatever in the price of books or the economics of bookselling. I'd assumed their interest in this matter would be strictly about the law, and in this case, whether or not the industry is engaged in collusion and price-fixing. Whether the activity is beneficial to certain parties or not is beside the point. If they are engaged in an illegal practice, the DOJ has a legitimate interest. 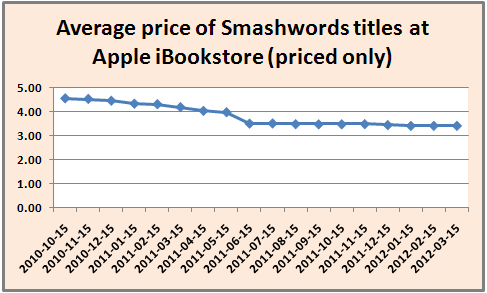 In Germany and other European countries we live with fixed book prices due to law. No other product does. One of the reasons is, as you say too, Mark, to protect the small retailers - book stores for that matter. 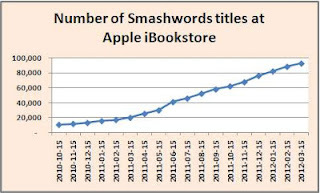 Retailers who distribute to European countries need to respond to this law (Actually they don't and can't, because Smashwords doesn't set the Euro price for them). Where was I? Actually, though, some authors and many readers in Germany fight against said law, because with this argument publishers set very high ebook prices - they just lie about the implications, pretending that the ebook price depends on the print price; what is not true. But readers don't know better - in the ebook forums we indies have to explain again and again. And authors often are too lazy to learn business. Thanks for this post and for fighting in our corner. I had no idea the impact of these models had on our royalties and possible earnings. A lot of indies will suffer if we go back to wholesale pricing. A wonderfully lucid, cogent explanation, Mark. Thank you. And I hope the DoJ paid attention. And Tracy is absolutely right. If Amazon had to pay a fixed amount to the writer/publisher regardless of how much they discount (as they do with paper books), that'd be one thing. But they can discount ebooks by 90 percent and then pay the author a pittance. It doesn't cost them a cent, and it costs the author a lot. They'd think more deeply about the deep discounting if it actually came out of their own pocket. As a brand new author, I'm squirming over this stuff. I'm really glad Mark is here to set things in perspective. I just jammed a 7 book detective series on board and I wrestled with the pricing a bunch. I figure it this way, e-book sellers make no greater or lesser effort no matter what the price. It's all ones and zeros and nobody is involved who can fog a mirror. It's just a program. Therefore, it's a matter of controlling bytes of info. There's the money. Ok, why then, since the cost of one book is the same as the next for the retailer to offer, why should they offer only 35% at .99 and 70% if you price at $2.99 or higher? What is their actual cost? I say there is no difference and the royalty split is arbitrary. Agency or wholesale is a argument I can't grasp because there is no difference in effort on the part of the "retailer". They must promote their site and encourage people to buy through them. If a person downloads a free book, it costs them nothing beyond the original cost of the program. So what difference does it make if I choose to charge under a buck? There is no difference in cost to them. I plugged in Joe Detective because I realized I could use the .99 cent price as a an attractive model and I hope the message to the reader is this; buy the first one cheap and if you like it, pay a fair price of 2.99 for the rest in the series. Frankly, I can't afford the "free" model for a lot of reasons. I'm very glad Smashwords was created as an opportunity for authors. I truly appreciate the advocacy as well. And I think the DOJ is sniffing. As long as an author can control the price of his or her work, the only thing we need is protection from huge retailers who might sell us down river because they can. Digits are digits. I wrote each book only once. The retailer benefits from the author. And the book is only uploaded once. Retailers should not be allowed a discount on royalty clause. They should have to negotiate with the author. If I wish to accept a lower royalty for a reason like better promotion, it should be my decision and that decision should be based on better returns reached by higher volume. Otherwise, they enslave us at no cost to them. They earn at no cost to them. They can lower the value of my months or years of work. I'm glad you're there Mark. Thanks. Thanks, Mark. As i understand DOJ is concerned that Apple and some publishers colluded to fix prices in an attempt to influence the overall market. I agree with you that we indie authors should be able to set our prices freely as we see fit and what the market will bear. Having some outside body set some limits (either too low or too high) seems draconian to me and highly inappropriate in a free market economy. I am somewhat concerned about Apple and those publishers trying to price fix but the consumer will decide what price to pay. Check out the RWA's survey on e-book pricing on their website. It's very revealing. 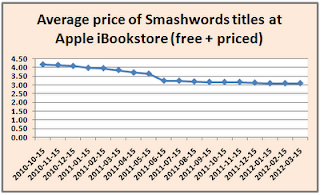 (#books sold at each price)*(price) divided by (total number of books sold) excluding, of course, the free books. That would give a better idea of what the *readers* are willing to pay. Tony, great question. Just calculated the number for the B&N timeframe and updated the post: $2.59. Over the the next few days I'll be doing more extensive number crunching in preparation for a talk I'm giving at the RT Booklovers convention in Chicago. I'm sure that data will find it's way back here as another post. I think your use of the term free market must differ from mine -- you argue that "agency pricing" is simply the ability of the producer (author or publisher) to set the price. However, I hope it was clear to the DoJ that there are really two agency models at work here. First, there is the "simplified agency model", which is basically what Smashwords and Amazon Digital Services use for indies/self-pubbed and picks up all the benefits that you bestow. Unfortunately, your analysis doesn't show that this simplified agency models come out to lower prices that people are willing to pay (predictive), it merely shows what people are actually paying (descriptive). To use the vernacular, if the "pareto" equilibrium is really $1.25 (predictive), for example, your analysis would still show actual prices (descriptive) are higher than what it "should" be. If the equilibrium was $4.50 (predictive), it would be showing authors getting ripped off. In plain speak, your analysis shows a trend that simple prices are not rising, but that doesn't say anything about what the market says the price SHOULD be -- and a discussion about agency models should be about whether such models raise prices above what they SHOULD be when all actors are free. Probably simpler to think of wartime scenarios for rationed goods -- even if you only charged 10 cents more, and then 8, and then 6, your analysis would show prices going down, but it would still be profiteering. Interestingly, though, with the way Amazon set their commissions, the retailer with the most sales info arguably wanted a $2.99 rate as the minimum -- which is higher than what the market is actually paying as a result of the free and 99 cent options. Secondly, there is the Big 6/5 "unilateral agency model", which you agree results in prices that are too high. But too high compared to what? Essentially, what the market would bear if left to its own devices i.e. if retailers set the price or if demand set the price. The market would lower those below $9.99 and certainly way below $14.99. Yet this is far from a "free market" agency model -- separate from collusion was the threat that the vendor would not have access to other items (collateral damage). Yet, if the market is supposedly free, why doesn't the vendor have the same freedom that the publisher does? And by your extension that the author always gets the same commission and can do their own price adjustments, why can't the retailer make those decisions too, since they also are simply getting commissions that way? Do you have a concern that not separating out the agency models into the two tiers -- and running the numbers separately -- that you may have done authors a disservice? 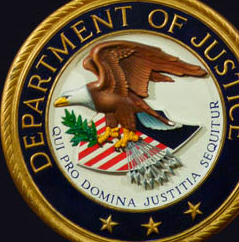 Not intentionally, obviously, but did you get the feeling that the DoJ really understands the difference? Finally, I think it's a bit of a strawman to wax and wane about concerns that once Apple, Amazon, and/or Google are left standing, they will turn evil and pillage the land. Not a single monopolistic industry has ever done that in the history of economics -- although there are a few cartels who have. And with lower startup costs and barriers to entry, the "long-term" possibilities are just as likely to be disrupted by new innovators as old ones. At some point, even the Big 6 are going to create seamless / frictionless websites that can do direct sales for less. Random House's new sales portal that gives more accurate sales data is, in my limited view, a much greater harbinger of what will come than assuming 3 sole vendors. My problem as a publisher is more closely tied to what Amazon has forced. I prefer that ebooks be treated the same as other retail products. I set a MSRP and am paid a set percentage off of that MSRP and I don't care what the retailer sells the product for after that. They can make it a loss leader or sell for the MSRP or some price in between. Amazon with their set-up forces the publisher to absorb any discounts they decide to give on the product - in essence creating the price setting that is going on because everyone price matches everyone else. This is the set-up that the DOJ needs to investigate and the practice that needs to stop. 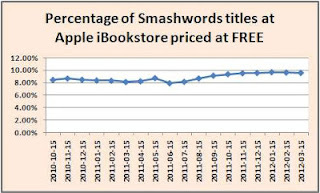 Ebooks should be treated the same as any other retail product - I set the MSRP, I get paid a set percentage of that MSRP and the retail sells the product for whatever they feel they can get for it. I'm with CHightshoe. Publishers and authors have no business telling retailers how to run their business. Agency pricing works *against* a free-market economy. Wholesale pricing makes as much sense for books as it does for any other product. However, as a supplier, I should be able to set my wholesale price and get paid that price on every book that the retailer sells. If the retailer wants to give the book way for free or charge 10X what they pay me for it, that's up to the retailer. Pricing is a powerful marketing tool that retailers should have at their disposal and discretion. THAT is what empowers a free market economy. What Amazon does with indie authors is not wholesale or agency. They take full discretion over pricing and pay the author a percentage of the discounted sales price, not a fixed wholesale price (assuming the lower price is due to a "competitive discount.") Indie authors are idiots for accepting that deal, but we do it anyway so we can have access to the Amazon customer base, and most of the time, it works to our advantage. Agency pricing is a dumb idea that only came about because a large group of powerful corporations decided to use it as a tool to fight Amazon. That's the only reason it exists. All this talk about the effect of agency on prices is completely beside the point. Agency pricing has already been used in collusion to stifle the competition. GO DOJ! Let's look at this data from another perspective tho. Is it really market pressure driving prices down or the lack of confidence the authors have in their material? Giving your work away for free tells the reading public that your work is not that great because you are desperate enough to give it away in the hopes that some people will like it enough to pay for subsequent titles. Free books hurts other authors because now people are thinking ALL ebooks should be free. Also, once you give it away free you will rarely be able to start charging for it because the free copies will still be out there. I tried this with the Amazon KDP. 5 days of free. Then checked all the "free ebooks sites". Yup. There the book was. Even AFTER the promotional period was over. To keep this short, indie authors need to keep their prices up there with the big names. Don't damage the whole industry by giving your work away free. Unless of course you are not in this for the money at all. In response to Daniel and CHighshoe, ebooks are different from "real" books and other products in a very crucial area, they are just electronic information. They don't actually exist physically. So if I am selling a product like widgets, I sell them to retailers at wholesale price. Then I don't care what they do with the price. I have my money. With physical books there is usually the deal that unsold books can be returned for a refund. (Or just the cover). How do we do that with ebooks tho? 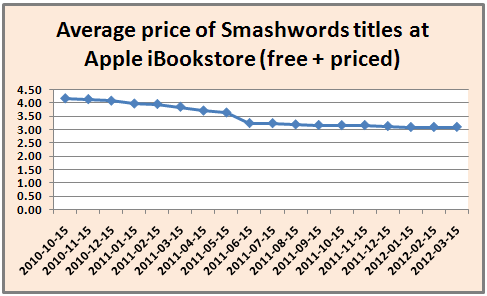 Do I say to Smashwords "buy x number of copies from me and do what you will with the price"? That would be nice but not practical unless we want to go with a licensing model like software. The problem with going for a percentage is that the author has no clue how much to expect. Of course this is a typicl practice in the arts. However there is usually a base amount coupled with a percentage of profits. My favorite pricing model is fixed amount. I had a contract where I got 25 cents per sold book. Didn't matter what the price of the book sold was, even free, I got 25 cents. (yeh this was years and years ago). 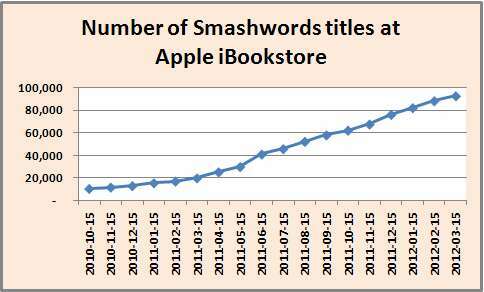 This usually means a lower percentage but it allows the retailer to do what is needed to move the book. Plus the retailer usually has a better feel for how much a book will sell for. Afterall, that is THEIR job. The authors' job is to write. So we, as indie authors, need to stop worrying about percentages and get solid numbers. Smashwords etc could have us say "I want x amount per book sold" and let them set the price. Even free. But for every book that goes out, the author gets their money. If publishers really preferred agency pricing, they would also use it for their paper books, but their real agenda is to slow down the adoption of ebooks. hence they use agency pricing to artificially prop up the price of ebooks, and therby slow down the adoption of ebooks by customers. The real issue is whether I as a small publisher/author can set a price that I receive for my book. What the retailer charges for it is not my concern. Given that Amazon does not give us a set price and reserves the right to pay me less if they discount my book, I can understand why Smashwords resorted to agency pricing. But that is a band-aid approach, and maybe isn't as important now that Amazon does not drop the 70% cut when discounting a book below $2.99. Hopefully, the market will sort itself out, and maybe the DOJ suit will help. I would add that it crossed my mind that the effort by the publishers to slow the adoption of ebooks is also hurting self-published authors by reducing enthusiasm across the board for ebooks and ereader devices. A reader who is a late adopter of new technology may look at the high prices of bestsellers as ebooks, and decide not to buy a Kindle or Nook. They may decide it doesn't make economic sense when ebooks cost almost as much as or sometimes even more than a paper book. They are used to reading paper books and so might just stick with that delivery system for now. And based on my experience with self-publishing both ebook and paperback versions of my books, it is a lot easier right now to reach a new reader through sales of my ebooks, in part because I can charge only $2.99 for an ebook versus $11.95 and up for my paperback books. I also have enough ebooks out there to offer some of my ebooks for free (which I can't afford to do with the paper versions), and those free ebooks reach a lot of new readers. But if someone does not buy a dedicated ereader in the first place, I am much less likely to reach that new reader because they do not own a Kindle or Nook. I'm locking this thread to comments. For some reason, unscrupulous link farming drug spammers are posting comment spam several times a week.